The results of our realtor survey are in: These 20 streets — from Andover to Cohasset— win honors for their curb appeal, amenities, and other distinctions. 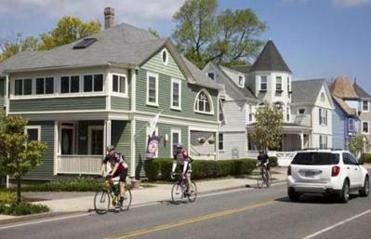 Monument Street in Concord has been selected as one of the best streets to live on in the greater Boston area. In April we surveyed members of the Massachusetts Association of Realtors and other real estate agents. We asked them to identify the top streets in Greater Boston based on a number of criteria, such as curb appeal and proximity to amenities (from parks and playgrounds to schools and restaurants). 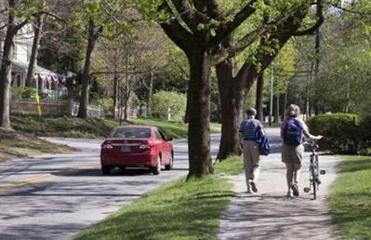 At less than two-10ths of a mile long, Beech Road is one of the shortest streets on our list. But what it lacks in length, it makes up for in location. With a wide, leafy mall separating it from Chatham Street across the way, it has, says Marshall Simpkins, a realtor with Coldwell Banker in Cambridge, “an Arboretum feel,” yet it’s walkable to the Longwood Medical Area, Fenway Park, Wheelock College, public transportation, Kenmore Square — we could go on. “The trees give it that rural kind of feel,” says Simpkins, “and it takes you away from the city.” The only drawback: Good luck finding a house. There are less than a dozen on the entire street, and when they come on the market, prices start at $2 million-plus. In addition to being one of the prettiest streets in Cambridge, Brattle is probably the most historic. 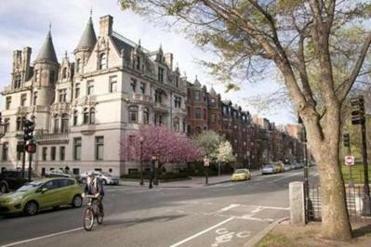 In 1630, when the city was founded, it was a little-traveled footpath to Watertown; it later became home to many prominent British loyalists, who built grand mansions on enormous lots. 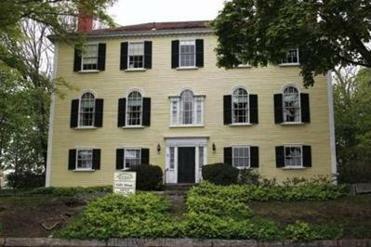 George Washington headquartered his operations at 105 Brattle, where Henry Wadsworth Longfellow later lived. 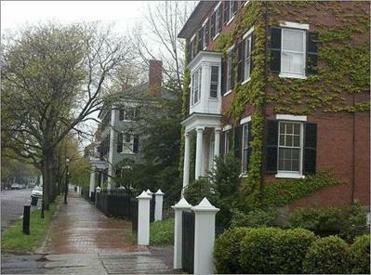 Today, at the Harvard Square end of the street, $3 million might get you 3,500 square feet or just under 5,000. 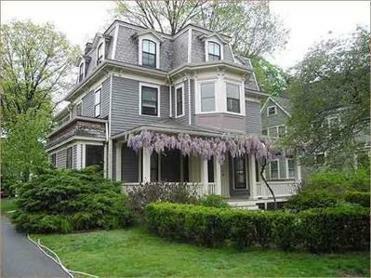 For the latter, says Jessica Ye, an agent with Keller Williams in Cambridge, “It’s not your granite kitchen. You’ll need to do some work.” Farther away from Harvard Square, the price — renovated or not — might drop by as much as two-thirds. A fitting terminus to continent-spanning US Route 20, Comm. Ave., as it’s affectionately known by locals, got the most votes in our survey by far. 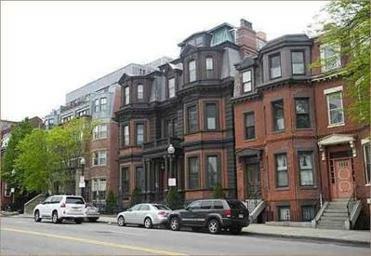 Between the Public Garden and Kenmore Square, the street’s shaded mall and classical revival, Art Nouveau, and French Renaissance row houses make it the grand centerpiece of tony Back Bay. “People who live on Comm. Ave.,” says Diane Keliher of Keliher Real Estate on Newbury Street, “won’t put their place on the market until they find another place on Comm. Ave. to buy.” Why would they, with shopping, parks, restaurants, night life, and schools — from Kingsley Montessori to Boston University — right at their doorstep? Prices start around $800 per square foot for a small studio and go to more than $1,200 per square foot for an elevator penthouse. East Broadway in South Boston. Eliot Street in Jamaica Plain. “It really represents the heartbeat of Andover,” Arlene Santangelo says of Central Street. Santangelo, a broker with Keller Williams in Andover, explains that what appeals about Central is that it’s so, well, central. It ends in the downtown area, where you’ll find shops, restaurants, banks, and churches. Even if you’re at the opposite end of the street, though, you’re still a 15-minute walk to everything, including the town park, with a gazebo and summertime concerts and movies. There’s a diverse mix of housing under the shady canopy, from small Capes in the $400,000s to 4,000-square-foot Victorians that go for as much as $2 million restored. 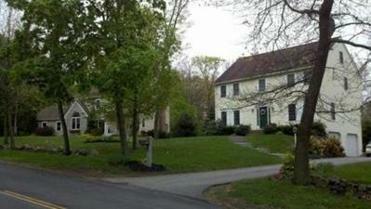 Homes are handed down through generations and don’t come on the market often. “People just don’t want to leave,” Santangelo says. Winding along Mystic Lake with a tree canopy overhead and nothing but stately Victorians, Colonials, and gambrels in view, it’s easy to forget you’re just 8 miles from Boston. Winchester is one of the most desirable northern suburbs for a reason: In addition to its proximity, good schools, and picture-perfect town center, there’s just so much to do — swimming at Wedge Pond, tennis on the public clay courts, small boating at the Winchester Boat Club, and a weekly farmers’ market are just the beginning. Everett Avenue, at most a 10-minute walk from the center of town, is the kind of place where people stop to say hello as they’re strolling down the street. “Everett has a little of everything,” says Sven Andersen of RE/Max Leading Edge. “It’s close to town, close to the train, and it has a real sense of community.” And that makes prices higher than Winchester’s median, starting at around $1.3 million for a little less than 4,000 square feet. Boston Post Road in Weston. Now among the wealthiest towns in Massachusetts, Weston began in the 1600s as a farming community that sprang up along the Boston Post Road, an important Colonial mail route first pounded out of forest by the feet of Indians. 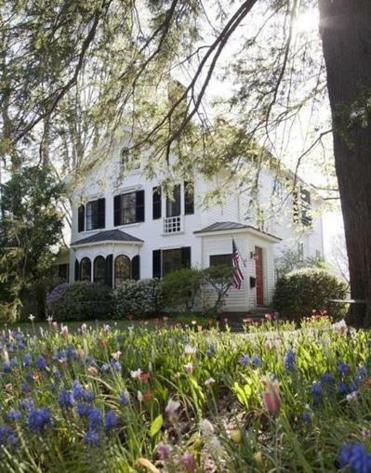 Stretching to the Connecticut River Valley, the road’s best-preserved 3.5 miles is in Weston, with a well-maintained mix of architectural styles spanning the centuries. At the moment, the houses on the market range from a 1,200-square-foot 1852 Colonial — asking price just $499,900 — to a seven-bedroom Federal style five times the size and going for nearly $3 million. “The houses are pretty much all over the place,” says Gibson Sotheby realtor Veronika Breer. “There’s no average.” Which can be very good news for a family that’s willing to take a little less space to get into this bucolic town with a great school system. 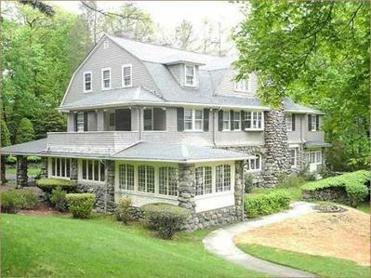 The anchor of the prestigious Cliff Estates, first developed in the 1880s by a prescient young man named Albion Clapp, Cliff Road has “large homes on large lots with beautiful landscaping and a grand feel about them,” according to Barbara Miller, a realtor with William Raveis in Wellesley. Their sizes range from 2,200 to 8,000 square feet, and prices, too, vary widely, starting at just under a million and going as high as $4 million. Nice if you can afford it, because the town is well known in Massachusetts for its grace and openness and the quality of its schools. It’s a quick commute to downtown Boston, with the train and Route 9 passing through, but with houses like the ones you’ll find here, you might just want to hang around all day. Fair Oaks Park in Needham. Concord is a mecca for so many reasons. History buffs recall it as the launching pad for “the shot heard ’round the world”; literary types revere it for being the home of Emerson and Thoreau; the horsy crowd knows it for its stables and miles of trails. The town center could hardly be quainter, and though private and quiet Monument Street feels like another world, it’s just five to 15 minutes from the action. 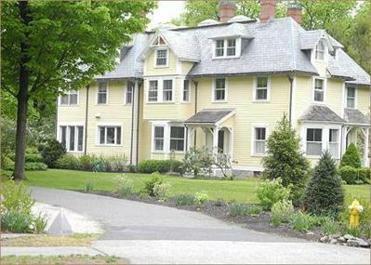 Lower Monument’s antiques and Victorians feature incredible architectural detail; as you go farther up the street you’ll find more and more space, with lots of up to 6 acres abutting conservation land. “It’s always a nice address, regardless of where you live on it,” says realtor Amy Barrett of Concord’s Barrett and Co. But again, all that beauty doesn’t come cheap: Prices start at around a million toward the center of town and can go up to the high seven figures for those vast expanses. 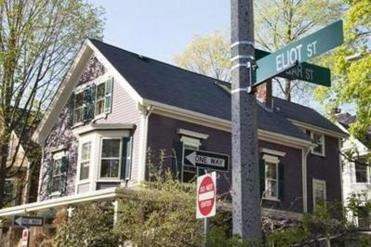 When buyer’s broker Howard Taub of RealTime Real Estate in Charlestown wants to show new transplants around Newton, he takes them down Otis Street. “It’s got a mix of architectural styles that blend nicely,” he says. “There’s a consistent setback and feel to the homes, yet the styles vary quite a bit.” Ed Lyon, broker-owner of Preservation Properties in the town, says simply, “It has a wow effect.” It’s less than a mile long, yet offers a mix of housing, from more modest vernacular styles toward the bottom of the hill and gigantic Tudors and Victorians on acre lots at the top. Modest, of course, being a relative term: Prices average $1.5 to $2 million and can go as high as $3.3 million. 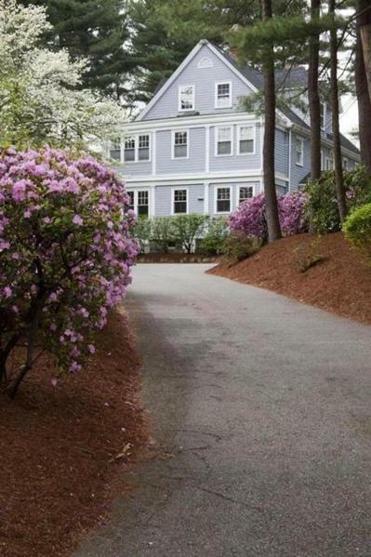 Smack dab in the middle of the desirable Columbines neighborhood, Hinckley Road is home to at least one state senator and Governor Deval Patrick. 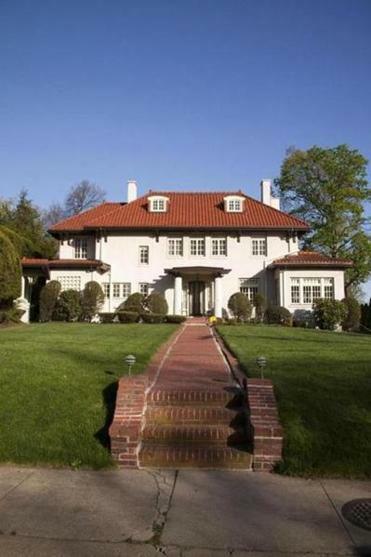 It was first developed in the late 1800s with about a half-dozen huge houses with even huger lots of 4 or 5 acres; after World War II those parcels were subdivided, and still-large — four- to six-bedroom — three-story Colonials were built. 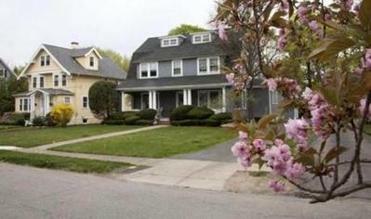 Milton is only 7 miles from downtown Boston, says Dan Walsh, an agent with Coldwell Banker on Adams Street, “but you really feel like you’re in a suburb much farther from the city.” Milton Academy is a big draw for young couples looking to start a family, but the town’s public schools, too, are excellent. The Columbines is a tight-knit area, with block parties and impromptu wine gatherings among neighbors. Single-families of about 3,500 square feet — there are no condos — range from $700,000 to $950,000. The good news is, at 3 miles, Jerusalem Road is relatively long, and when paired with Atlantic Avenue, which it adjoins, there’s almost 5 miles of housing stock that might one day come on the market. Together the streets make up a decent stretch of the South Shore’s Gold Coast, where many homes were built early in the last century by wealthy Bostonians seeking to escape the city. 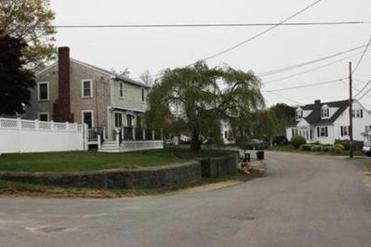 Cohasset itself is “a kind of Norman Rockwell community,” according to realtor Ellen Youngman of the town’s Coldwell Banker office. “You see children playing in the street, riding their bikes through town.” Amenities include upscale restaurants, a quick commute to Boston, and easy access to kayaking, bird-watching, and other outdoor activities. Then there’s that bad news: Houses on “beautiful, windy, scenic” Jerusalem Road range from $1.5 to $12 million, Youngman says, and average around $3 million. For beachgoers, what could be better than a 5-mile-long peninsula no more than a half mile wide: Every house is within a few blocks of the water. 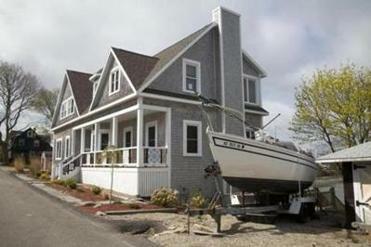 Main-drag Nantasket Avenue runs the length of Hull, so there’s a wide variety of housing, from small one-bedroom condos to, at the far end of the street, four-bedroom homes with water views. Most were built between 1900 and 1920, and prices can start as low as the $100,000s for, say, a one-bedroom condo at the inland end. 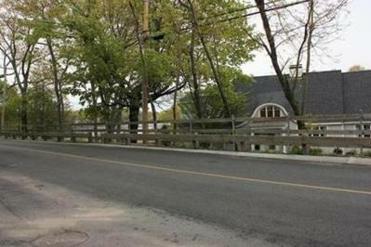 About a third of the street — the pricier end — has water views, and simplicity is the watchword, with most single-families tending toward Shingle-style, gambrel, and cottage conversion. Even people from surrounding South Shore towns often come to Hull for the summer because, says realtor Sue Ann Murley, with the town’s DiVito Realty, “It has a better beach.” ’Nuf said. 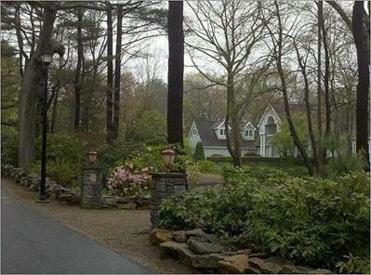 Prospect Hill Drive in Weymouth. Elizabeth Gehrman, a frequent contributor to the Globe Magazine, is a real estate junkie. Send comments to magazine@globe.com.